Electrical Solutions is the authorized Nabco distributor, but we can service every make and model of automatic door commercially available. We offer installations and servicing for any business or healthcare facility that requires automatic or barrier-free doors. Your building code requirements will tell you if you need automatic and barrier-free doors. 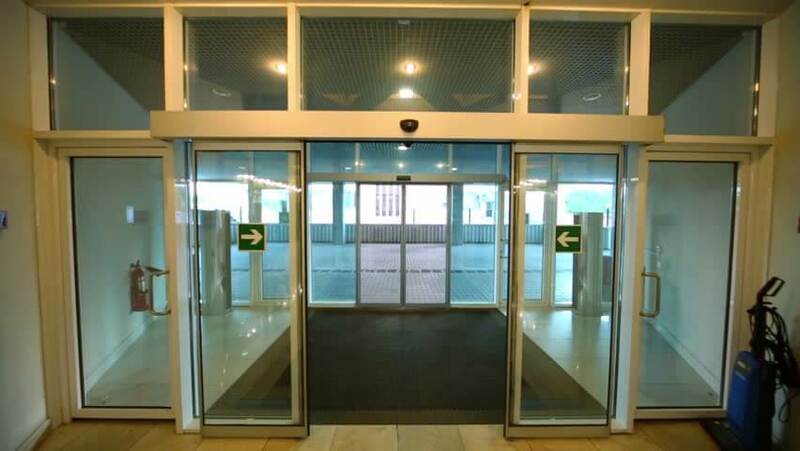 We can help you with current doors that need replacing or fixing and we can add controlled access to certain areas, including ‘restricted access’ requirements. Our automatic and barrier-free door services also include drive-thru windows. Get expert service done efficiently by giving Electrical Solutions a call!